The Bay of Bengal Initiative for Multi-Sectoral Technical and Economic Cooperation (BIMSTEC), which held its fourth Summit in Kathmandu on August 30 and 31, appears to have entered a new era, awakening from years of somnolence. The first signs of an awakening appeared in 2014, when a Permanent Secretariat was established and a Secretary General was appointed, the first since the organization came into being in 1997. Under the first Secretary General, Sumith Nakandala of Sri Lanka, BIMSTEC became a beehive of activity. Expert committees on multifarious economic and social developmental areas submitted reports on plans of action. 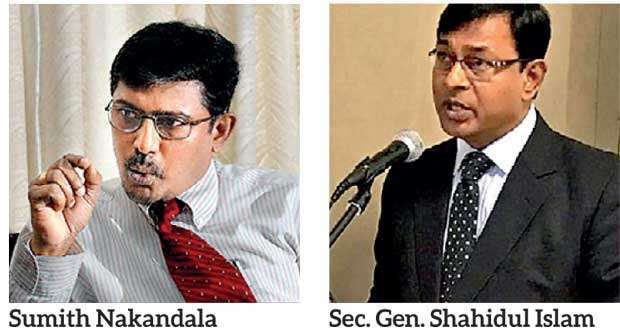 In 2017, at the end of his three year term, Nakandala passed on the torch to the Bangladeshi diplomat M. Shahidul Islam, who organized the fourth Summit this year. At the Fourth Summit the Nepalese Prime Minister K.P. Oli handed over the Chairmanship of BIMSTEC to the Sri Lankan President Maithripala Sirisena. Armed with that motto, Nakandala oversaw the conclusion of the BIMSTEC Convention on Suppression of Terrorism and the finalization of BIMSTEC Transport, Infrastructure and Logistics Study (BTILS) conducted by the Asian Development Bank. He got the ADB to offer its technical assistance in strengthening the BIMSTEC Secretariat. However, given the 20 year backlog of expectations, much remains to be done. The overall conditions remain as dismal as before, though there are rays of hope on the horizon. The BIMSTEC Free Trade Agreement was signed in 2004, but is yet to be implemented. The economies of the countries in South Asia are so protectionist that free trade is almost an unattainable objective. Non-Tariff Barriers reduce the advantages of tariff concessions. Bureaucracies in South Asia are chronically anti-free trade. The so-called ‘national interests’ also stand in the way. Sudip Dey, President of the Kolkata Customs Agents Association told a seminar in Dhaka that mutual fear blighted any prospect of free movement of goods. “Unless the fear psychosis goes, cooperation can only be a dream,” he said. Admiral Dr Jayanath Colombage, an expert on maritime security, wonders how integration and joint development will be possible when the South Asian and the Bay of Bengal region have become so-politicized and militarized and visas are so difficult to get. Regional disputes and bilateral agreements, which member countries enter into for greater benefits, stand in the way of collectives like BIMSTEC. However, the proceedings of the Kathmandu Summit clearly indicated that BIMSTEC is trying to chalk up a new path. One of the most important things that the Summit did was to resolve to have a Charter with clearly stated goals and an organizational system to delivery on ideas propounded by the Heads of Government. The Charter is expected to clearly delineate the role and responsibilities of the different layers of the institutional structure and decision-making processes. It was also decided to establish a Permanent Working Group to deal with financial and administrative matters of the BIMSTEC Secretariat and other BIMSTEC entities. The Working Group would also prepare schedules of meetings and prioritize and rationalize the organization’s activities. Coming to the question of projects, while BIMSTEC has given itself many functions, the most important of them will be connectivity, from now onwards. The emphasis on connectivity is largely due to Indian Prime Minister Narendra Modi’s passion for multi-modal connectivity across borders, probably inspired by Xi Jinping’s Belt and Road Initiative (BRI). Like Xi, Modi wants to go beyond the traditional confines of trade and investment. Like Xi, Modi is hopes to use connectivity projects to project his country’s power, capability and strategic reach. With China frenetically promoting infrastructural development and connectivity in all the countries in BIMSTEC (barring India), New Delhi had had no option but to take up similar projects in order not to lose support in the neighbourhood and beyond. Thus, India is now part of the Bangladesh, Bhutan, India and Nepal (BBIN) sub-regional hub. It is also part of the Bangladesh, China, India, Myanmar (BCIM) Economic Corridor proposed under Beijing’s Belt and Road Initiative (BRI). India is China’s rival, and the two Asian giants are competing for strategic space in the South and South East Asian region and even in Africa. And yet, at another level, India has realized that it cannot disregard China and act entirely independently. With relations with the Trump Administration in the US not exactly warm, India is looking for fresh pastures and cooperation with China is seen as a fresh pasture. China’s well-funded infrastructural programme under BRI has made India sit up and take notice of what is happening in its neighbourhood. All the countries in BIMSTEC have signed up with the BRI and are to execute BRI projects, throwing up a challenge to India in a manner of speaking. There is another point to be considered too. With China’s massive presence, Indian or BIMSTEC infrastructural projects, even if conceived and executed separately, will have to coordinate with BRI projects to make them economically viable. Fortunately, countries like Nepal, Bangladesh, Sri Lanka and Myanmar, which have close relations with both India and China, are eager to bring the two Asian giants to cooperate for economic benefits as well as security. India does not accept BRI on the grounds that the China-Pakistan Economic Corridor (CPEC), which is part of BRI, passes through Gilgit-Baltistan claimed by India. But pragmatic New Delhi has accepted all other projects under BRI, albeit as a fait accompli. Recently India said that it would give China access to Chittagong Port in Bangladesh. China too has said that it did not insist that India should endorse BRI formally and that it was ready to work with India on commercial basis. The emerging Sino-Indian détente provides BIMSTEC a solid foundation for exponential growth.